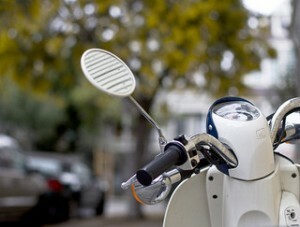 Motorcycle mirrors play a key role in keeping you safe on the road. Lens shape, cleanliness, fog and raindrops act as filters and distort or obscure the image coming back at you. Ultimately, the decision on where to focus either your mirrors or eyes, and consequently their usefulness, is up to you. As it is on your motorcycle, so it is in life. Focusing on what matters helps keep you on the road, safe and enjoying the ride.